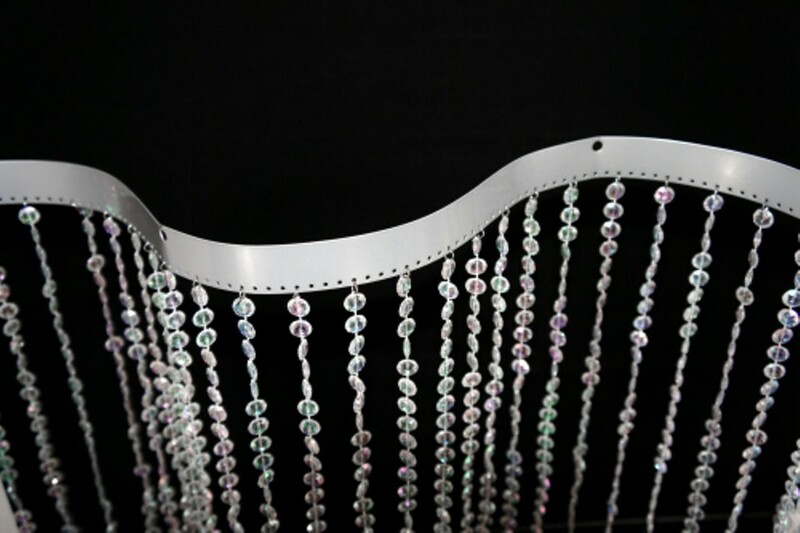 Order the new beaded curtain with bendable metal top rod Yes You can bend it in any shape to Make backdrops, columns or dress window display. Available with Iridescent diamond cut Crystal beads, smoke color beads and Faux Metallic gray ball. order additional curtains to cover wider spaces. Great for dividing a room into sections. We have taken custom orders from hundreds of event planners, wedding decorators, architects and visual merchandisers around the world. To request a free quote, ask any questions, receive guidance or to place your custom order please Contact Us by Email or call Real People 860-209-6222. 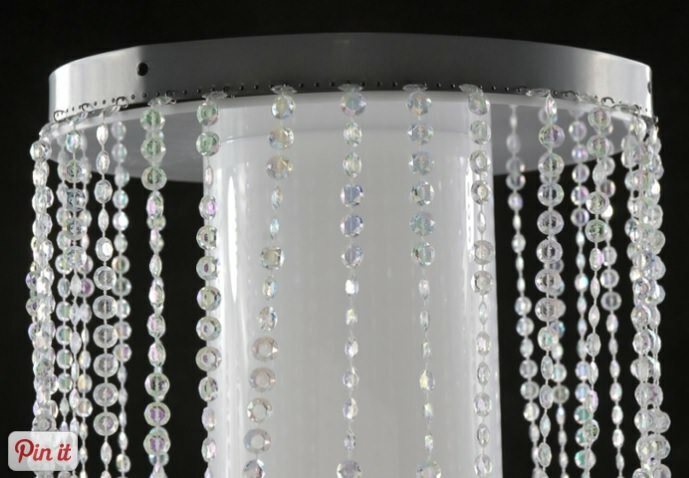 Click the button below to add the Beaded Curtain with Bendable Metal Rod - 9 Feet Long - 3 Options to your wish list.